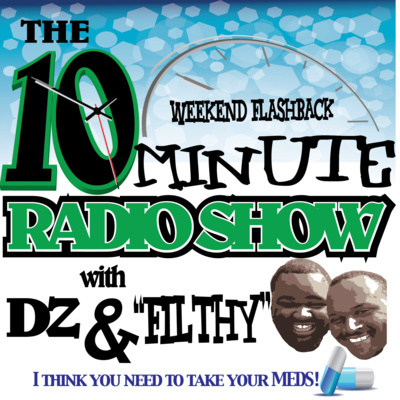 Tune into TTMRS for your daily dose of FUNNY MEDS! 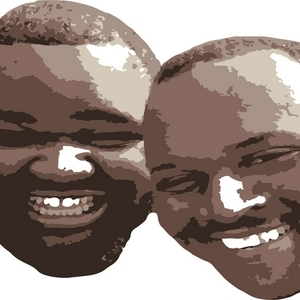 Laughter is "medicine for the soul," but with these 2, there may be SIDE-EFFECTS! Pt 2 Homosexuality, Choice or Born pt. 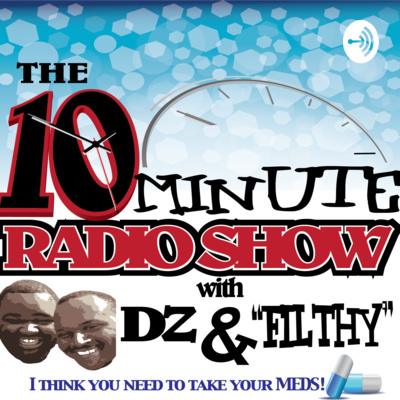 2 Latest episode of The 10 Minute Radio Show. Check out this episode of TTMRS where the guys discuss awkward moments. Check out this episode of TTMRS where the guys discuss Trader Joes and Anointing oil. Check out this episode of TTMRS where the guys discuss Filthy's Kids. Check out this episode of TTMRS where the guys shout out great small businesses to support. Check out this episode of TTMRS where the guys talk about Kirk Franklin and Dads. Check out this episode of TTMRS where the guys discuss new music being released through Ubantu Music Group. Check out this episode of TTMRS where the guys discuss church afternoon service. Check out this episode of TTMRS where the guys talk about testimony service being ready to go. Checkout this episode of TTMRS where the guys discuss a pigs life and Brasa Steakhouse. Check out his episode of TTMRS where the guys discuss family reunion DJs. Check out this episode of TTMRS where the guys discuss voting. Check out this episode of TTMRS where the guys discuss modern day prophets and the guy take a call in to the show. Check out this episode of TTMRS where the guys discuss Singers, Praise Breaks & Table. Check out this episode of TTMRS where the guys discuss 80's Church, Arch Bishop & Diets. Check out this episode of TTMRS where the guys discuss the satellite radio, the fair, Martin Lawrence and Filthy. Checkout this episode of TTMRS where the guys talk accents and aging gospel artist. Check out this episode of TTMRS where the guys discuss mechanics, fans & Killer Tony. Check out this episode of TTMRS where the guys discuss Seasons and Kirk Franklin. Check out this throwback of the TTMRS where the guys discuss musicians and hoverboads. Check out this episode of TTMRS where the guys discuss a cemetery party. Check out this episode where the guy look back over the years of TTMRS and reminisce on a good friend. Check out this episode of TTMRS where the guys discuss the new show by Rel and Hurricane Flo update. Check out this episode of TTMRS where the guys discuss the Winans. Check out this episode of TTMRS where the guys discuss church fans and a prayer request. Check out this episode of TTMRS where the guys discuss being big boned and competitions. Cussing Preachers part 2 be sure to check out part 1 for some sure nuff laughs! Check out this weekend flashback episode of TTMRS where the guy discuss cussing preacher. It's a two part series and be sure to listen to both! Check out the latest episode of TTMRS where the guys talk about social media and how its changed the church. Check out this episode of TTMRS where the guys talk about Bill Cosby and Loud Church Music. Check out this episode of TTMRS where the guys talk about making deals, new listening platforms and Comedians. Noah's Ark and It's Room Fo Er'y Body! Check out this episode of TTMRS where the guys discuss Noah and the Ark and Issues with musicians. Check out the latest episode of TTMRS where the guys talk about the Queen of Souls funeral and funeral home experiences. Check out this flashback TTMRS Weekend Edition were the guys discuss finances and bologna wrappers. Hey check out this Flash Back from TTMRS were the guys discuss Attendants and Wooden Legs. Check out todays episode of TTMRS where the guys discuss church dancin' and prophesies. In this episode we discuss Kat Williams on his recent radio appearance and Larry Reid Live and Fatherlessness. We're back after a long break, we touch on where we've been and crazy hurricane behavior.